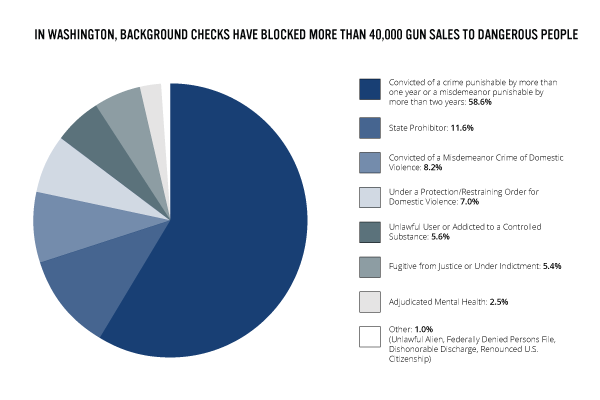 Since the federal background check system was created in 1998, it has blocked 40,976 gun sales to prohibited people in Washington State, including 24,028 gun sales to felons and 6,227 gun sales to people convicted of domestic violence misdemeanors or subject to domestic violence protection orders. 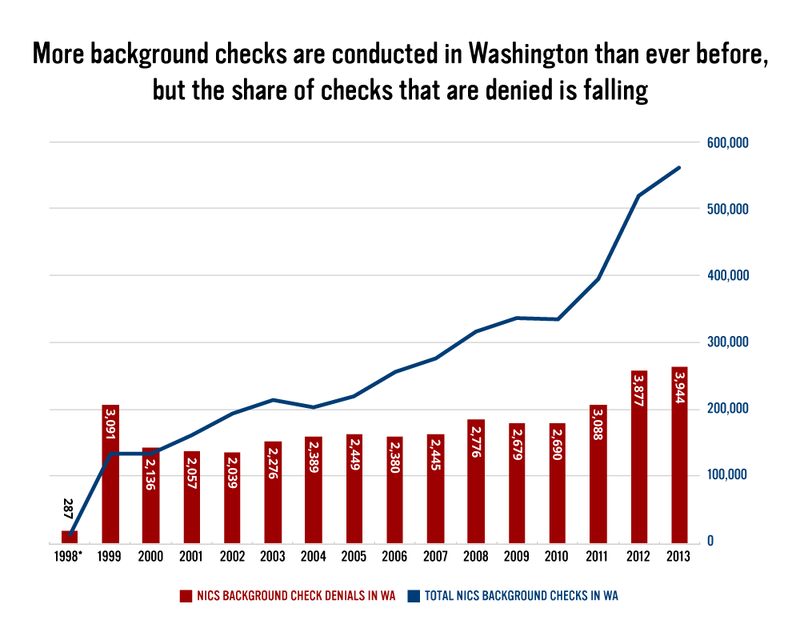 The background check system blocked more gun sales to prohibited Washington buyers in 2013 than in any previous year. However, between 2000 and 2013, the share of total background checks that were denied fell by more than half. That's probably because criminals know that a background check will block them from buying guns at licensed dealers -- and that they can easily buy guns from strangers they meet online and at gun shows, no background checks required. Click here to download the full analysis (PDF). In November, Washington State voters will have a chance to close this loophole by voting YES on Initiative 594. Initiative 594 would apply the currently used criminal and public safety background checks by licensed dealers to all firearm sales and transfers, including gun show and online sales, with specific exceptions. 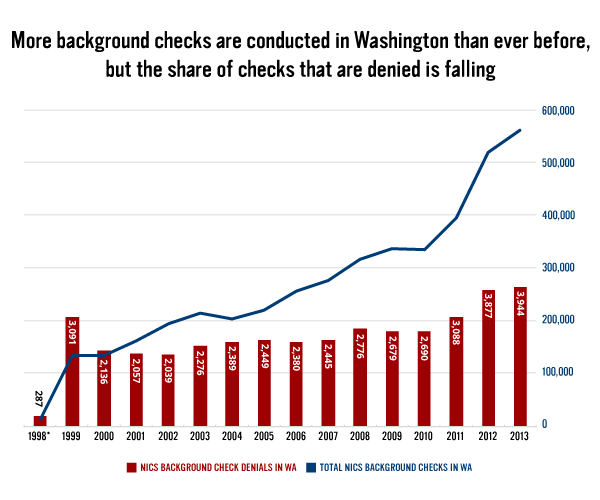 Under Initiative 594, everyone in Washington would be required to pass the same background check, regardless of where they buy a gun and from whom they buy it. Paid for by Everytown for Gun Safety Action Fund for I-594; PO Box 21214, Seattle, WA 98111. Top contributors: Everytown for Gun Safety Action Fund and Ann Hawkins. Marcus W. just signed the Gun Laws and Purchasers in Washington State petition. Gordon P. just signed the Gun Laws and Purchasers in Washington State petition. Doris S. just signed the Gun Laws and Purchasers in Washington State petition. Sharon M. just signed the Gun Laws and Purchasers in Washington State petition. Ima M. just signed the Gun Laws and Purchasers in Washington State petition.